Some home designers want to make a bigger statement with the ceiling, and they’re turning to wallpaper to do it. Wallpaper is once again growing in popularity for walls, and some designers are now experimenting with it to dress up the ceiling too. 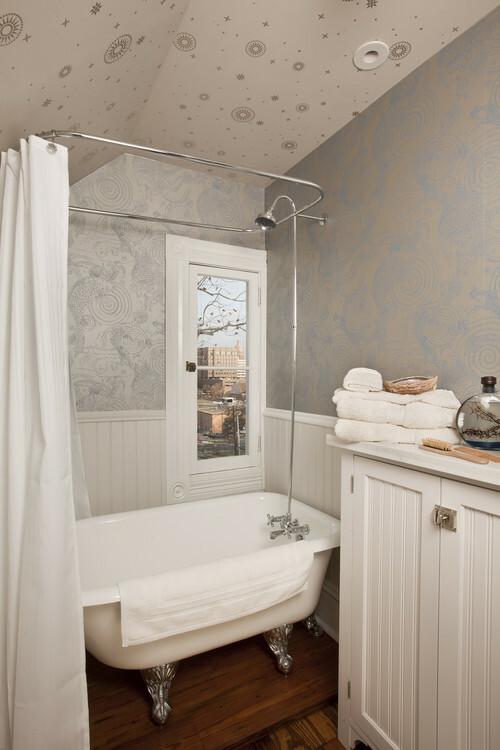 Some designers are using it to transform a ceiling’s living space with wallpaper in minimalist designs or in metallic. It can add texture and certainly some drama to a space. Some designers are using floor-to-ceiling wallpaper all in the same print. 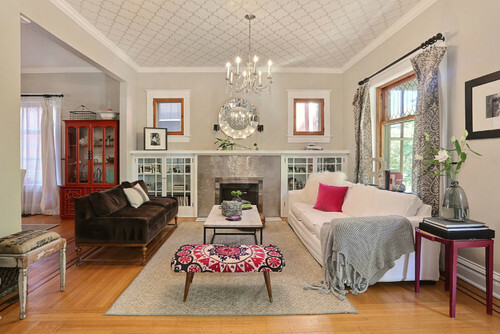 Others may have the walls all painted white or a light color and then use a wallpapered ceiling to jazz up the room. 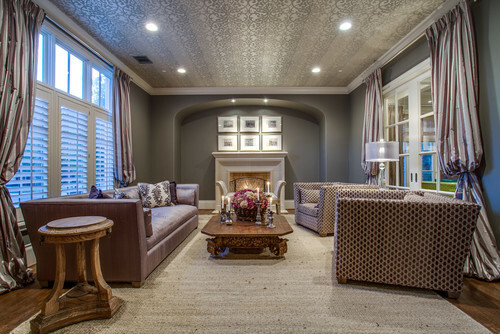 Faux tin on the ceilings can be a way to create a statement ceiling too. Use with caution, however: A dark or bold of wallpaper could make a ceiling appear lower. But for spaces that can pull it off, a wallpapered ceiling can look chic. Plus, if you have a listing with dreaded popcorn ceilings, this can be a way to give the ceiling a modern, yet less expensive update. 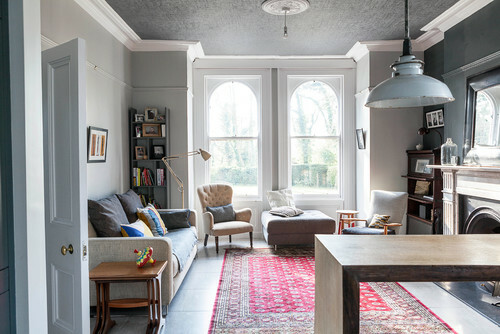 Check out some of these examples from designers at Houzz. Looks classy but less expensive! Once again, the bar has been raised. This is another great example of the fact that you don’t have to spend too much to redesign your home. Creativity is all it takes! Now that we have a new, practical way of enhancing the “fifth wall”, we can let our creative juices flow. I like this idea, but HOW does one get a wallpaper to look good or smooth over a popcorn ceiling without requiring removal of the texture first?? One may as well just paint it if selling then I would think as it is less costly, and wallpaper is rather personal if one is selling. However if one is living there a while, then it can look nice if paper is not too distracting, just personal preference of course.